Brush lettering, or Brush calligraphy is one of the most versatile styles of lettering that exist. 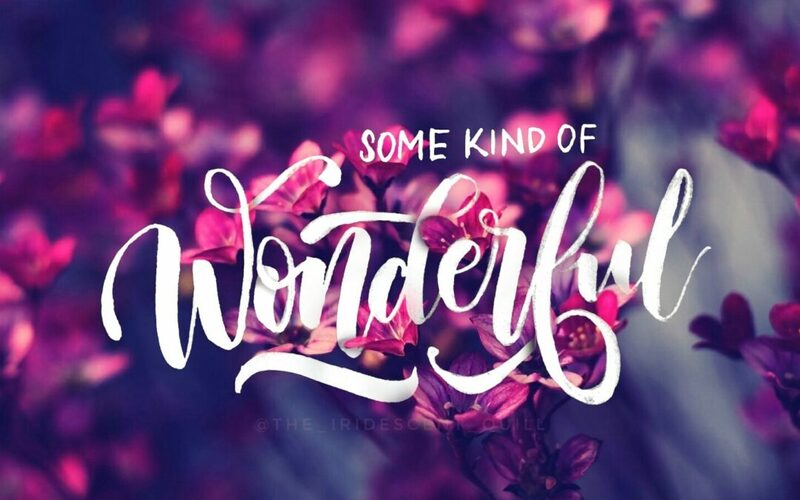 The key to the popularity of this style has been the free form and the creative freedom of this particular lettering technique. This 2 day workshop will focus on the basics of lettering using brushes and brush pens. The participants will learn how to create a fully lettered poster from scratch, and the techniques behind the art of the same. This will surely be an exciting journey as we all brush our way through the world of modern lettering and typography. Is lettering and calligraphy the same? A4 size watercolor paper for final project. Artist – Amritanshu Das is a self taught artist and has been practicing calligraphy for over 9 years. After a successful first workshop last summer, he is back with his second workshop on Brush lettering. Do not miss the chance to learn from a passionate teacher. Age – 10yrs & above. Adoring bottle art for some time now? Thought you can’t paint like this. What if we tell you it is not painted and you don’t need any prior experience in art/craft to create one such “artifact” on your own. Découpage is the art of decorating an object by gluing tissues onto it in combination with special paint effects and other decorative elements. You would learn fundamentals of decoupage and the easy crackle effect. Decoupage with napkins and printed paper would not just be easy and simple but fun as well. 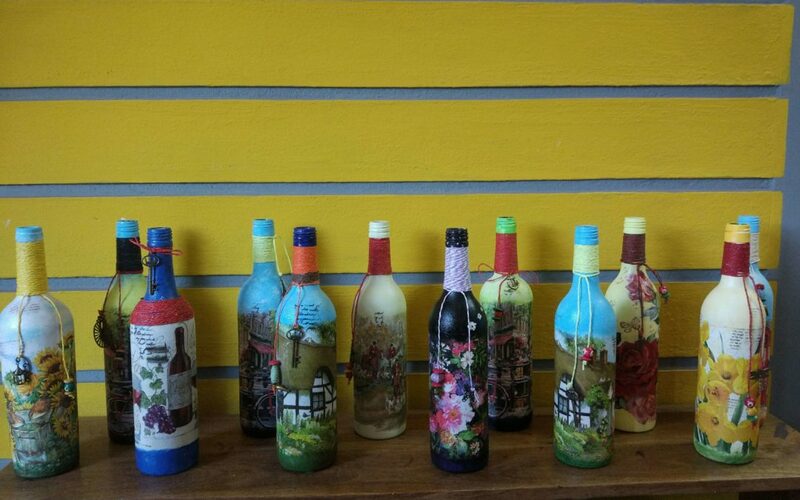 A simple & effective means to recycle empty bottles is to decoupage them. In this session, you will learn all the tricks to transform glass bottles into easy & inexpensive home décor. These can be used as vases or simply as home décor accents. Mosaic is a decorative art of creating patterns on a surface by setting small coloured piece of glass, title or marble. In this workshop participants will be directed step by step from preparing a wooden cardboard till they finish painting the joint sealant and will also be guided to create design, cutting glass, assembling and grouting. 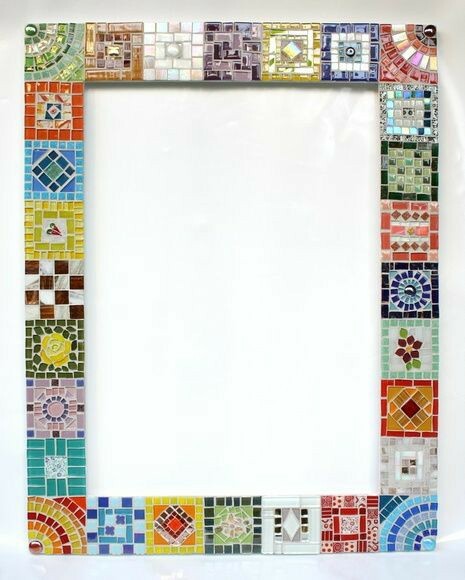 Join this workshop learn all the topics and techniques required to create a mosaic mirror, a functional home decor to adorn your homes. Take Away – A beautiful 10/14 inch mirror handcrafted by you. Bloom & Grow is conducting a 5-day art program that includes an introduction to Indian folk as well as contemporary art forms. 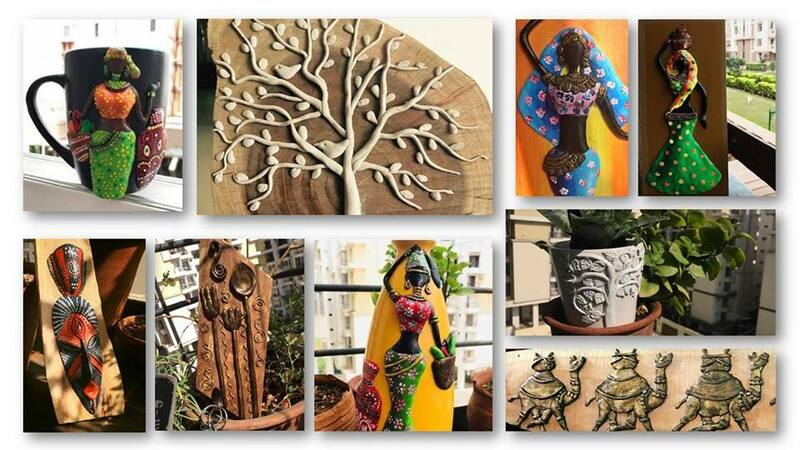 Participants will learn Madhubani art form and its different methods will be explained in detail. Get familiar with Madhubani as an art form. Learn about its story, grammar, colors, motifs, and special characteristics. The day will be about doing pretty pots with the Madhubani Art. Carve a design into a unique rubber stamp with simple, easy-to-follow techniques totally from scratch. Get comfortable with tools and learn how to carve your own re-usable rubber stamps. By the end of the day, we will know how to print using self designed stamps. Impasto is a technique used in painting, where the paint is laid on an area of the surface in very thick layers so that brush or painting-knife strokes are visible. When dry, impasto provides texture. Layer up a canvas with vibrant tube paints, and use a brush to make your artwork pop. Woodcut is among the oldest printmaking techniques, and continues to be a strong graphic tradition today. 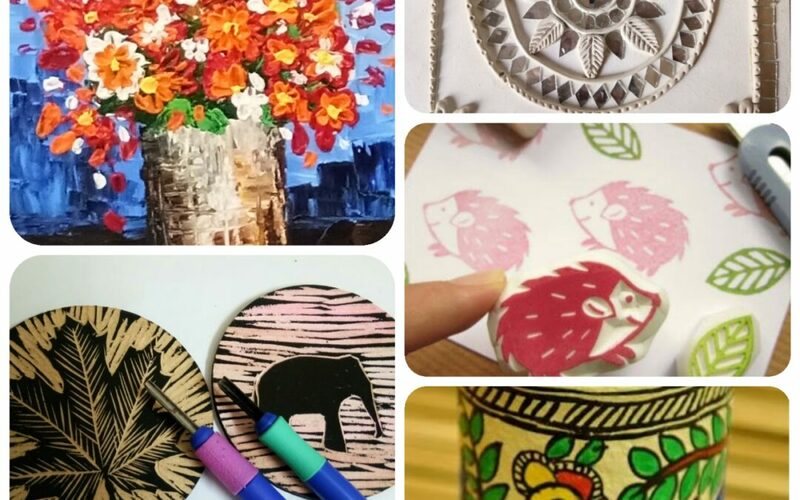 This workshop will introduce you to the tools and methods needed to allow you to carve your own block and print from your own relief woodblocks. You will explore carving techniques to obtain a range of texture, depth, and dramatic contrast to create strong visual statements in your artwork. Participants will do woodcut on 2 coasters. The art program is open to anyone who loves to learn and create and is over 10 years of age.